How can I remove blog styles from my live site? 4. 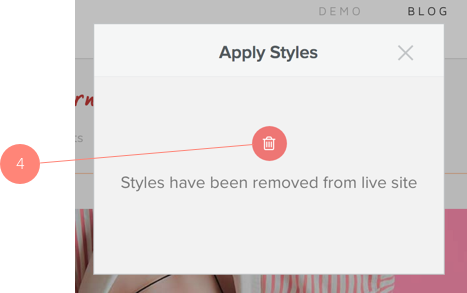 After clicking on 'Apply Styles' you should see a confirm message show up telling you the Styles have been removed from the live site.